99 Loop is delighted to be exhibiting work by Capetonian artist, Lizza Littlewort! 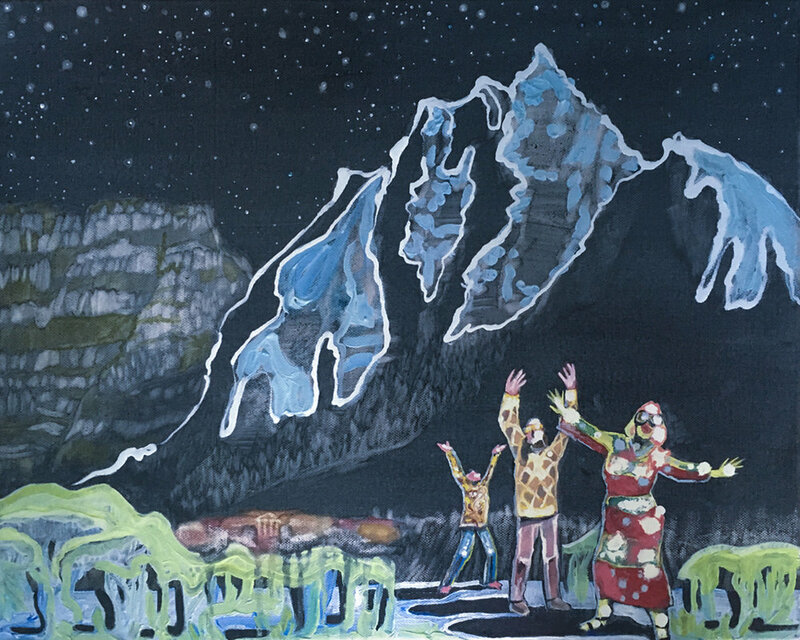 ‘It seemed to throw a kind of light’ is Lizza Littlewort’s latest collection of paintings, which explores the need for a re-enchantment of cultural paradigms in order to cope with the crisis of climate change. As a result of the drought in the Western Cape, new priorities have been established to cope with the threat of the taps running dry. Such a crisis of supply of one of the most fundamental of human needs, water, confronts society with its own system failure. This is akin to reaching the farthest point of navigation for an explorer, beyond which lies the unknown. Littlewort’s paintings explore the complex mix of feelings of dread and hope that a position in crisis engenders. In the night-time of our social order, Littlewort suggests that a new and promising light, an alternative way forward, is possible. Somewhere within the darkness of failure a new clarity of direction can emerge. The title of this group of works refers to the narration of Marlow from Joseph Conrad’s novel ‘The Heart Of Darkness’. In an attempt to express the impact of his experiences beyond the pale, Marlow can only say that “It seemed somehow to throw a kind of light”. Littlewort was born (1963) in Cape Town, where she lives and works. She has a diverse education, with degrees from the University of Cape Town in architecture, fine art and English literature. 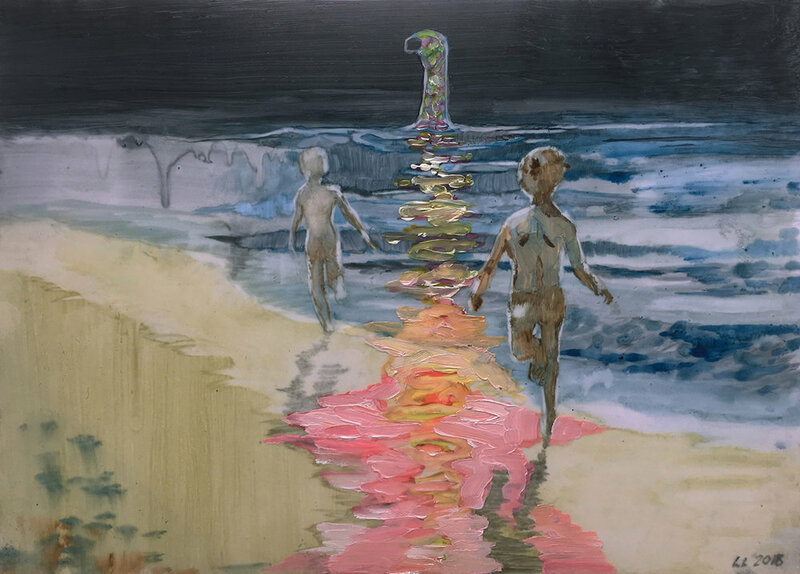 She relentlessly explores the myriad ways of making marks with oil-paint, working on different surfaces that create unexpected, surreal effects.